The show, created by Lin-Manuel Miranda, is an unconventional take on the life of Alexander Hamilton, one of the founding fathers of the United States, featuring a racially diverse cast and a hip-hop-inflected score. "That's what Hamilton and (antagonist Vice President Aaron) Burr are wrestling with the whole time, and I think that's what people are responding to," Miranda said. Addressing media coverage of the show's runaway success, he said: "I never want to see the words 'overnight success' associated with this show," saying that his relationships with collaborators on the project dated to 2002. Thursday's show was attended by many notable public figures, including musical impresario Andrew-Lloyd Webber, Queen guitarist Brian May and London Mayor Sadiq Khan. "Breaking Bad" star Bryan Cranston, who also attended the performance, described the show as "a masterpiece," adding that it was "striking a chord with the younger generations and that's what we need in the theatre." The title role, which was originally played by Miranda, who is of Puerto Rican descent, was filled by Londoner Jamael Westman, who has Irish and Jamaican heritage. 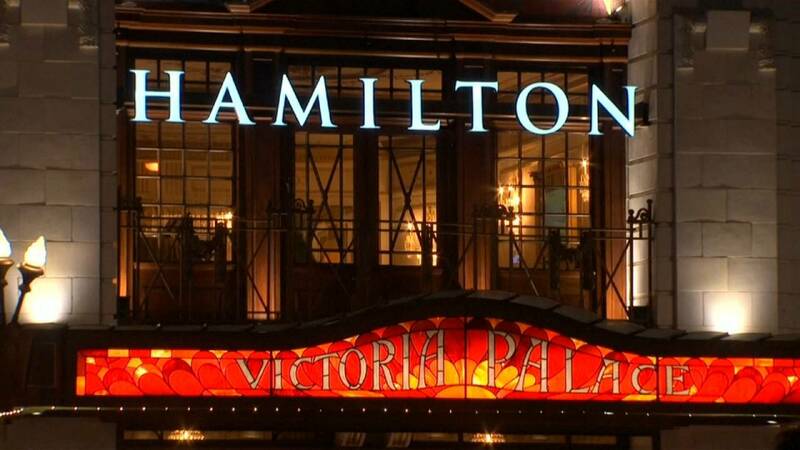 The London production, housed in the newly refurbished Victoria Palace theatre, is the show's first foray outside of the United States after successful runs in Chicago, San Francisco and Los Angeles, as well as New York. Guardian newspaper reported were being offered by re-sellers for up to 6,000 pounds ($8,000). The show's depiction of an effete King George III, Britain's ruler during the U.S. revolutionary war, also drew some of the biggest laughs of the night from the British crowd.